Everyone’s definition of eye candy is different – no need to go through the individual variations short of saying that a superbly themed birthday party has been known to make some mums swoon. For the creative and crafty ones amongst us, putting together a party theme is a piece of cake but for others (such as myself) a little bit of help makes all the difference. Which is why I love the trend toward ‘printables’ – downloadable graphics files featuring everything from invitations to cupcake wrappers that you can purchase simply and quickly online. 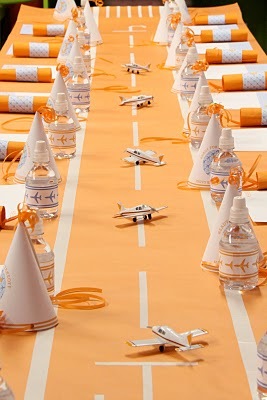 Supermarket seller Mélangerie has two fabulous printable party kits – the airplane themed ‘Ready for Takeoff’ for boys and the pretty ‘Garden Tea Party’ set for girls. Priced at only US$10 the kits are an affordable way to coordinate a superb party table and include everything from juice box wraps and party hats to pennant banners and table runners. All you have to do is print them out and get busy cutting and pasting. 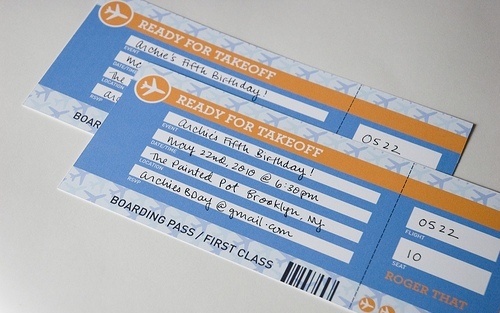 New York based events planner Amy Atlas used the Ready for Takeoff kit for her son’s birthday party. With added touches such as the airplane cupcakes and the amazing suspended-in-mid-air cake, the total effect is truly memorable. And while we are on the subject of eye candy, check out Amy Atlas’s incredible dessert tables. 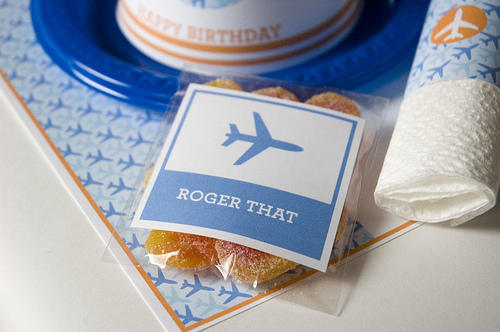 Planes or garden tea parties not your thing? There’s lots of other party ideas here.